2016-12-06 This week, the Leidse instrumentmakers School had a grand reopening event. His Majesty the King Willem Alexander was present. 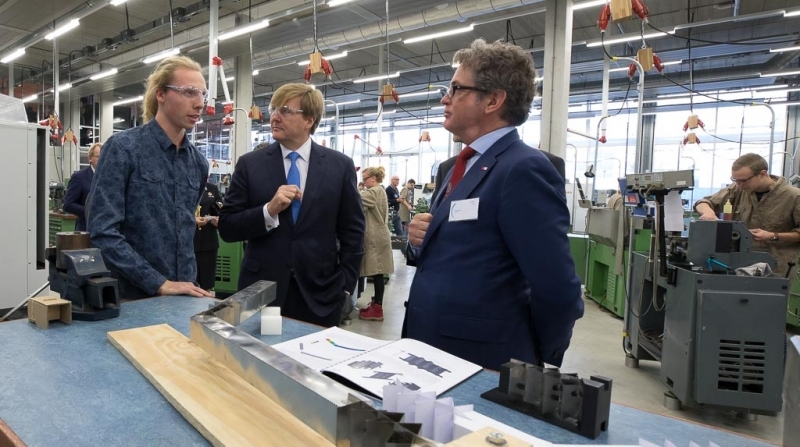 Our colleague Timo Mortier was asked to join the event and show the King the project he graduated with half a year earlier. Here you see Timo and the King in a thorough technical conversation. It was a pleasant meeting! Afterwards the school opened for the public and Settels Savenije was represented with a stand.